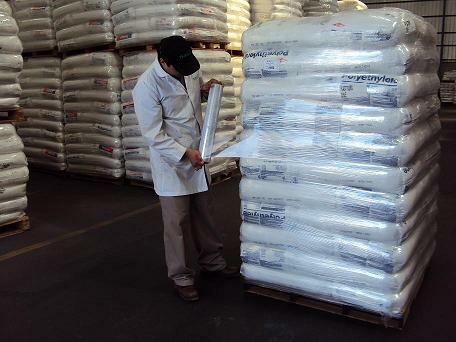 Pallet wrap film is produced by 5 layers co extruded machines.The materials is LLDPE virgin resin and metallocene. Pallet wrap film have manual rolls and machine use rolls. Pallet wrap is primarily used in pallet wrapping and storage operations to stabilise and hold loads together, but also keeps your products clean and dry. it is designed to cling tightly to objects and provide a secure overwrap to protect goods from shifting during transport. - Available in machine and hand-applied formats. - Thicknesses range from 12 to 35 microns and films available in clear and color tint.